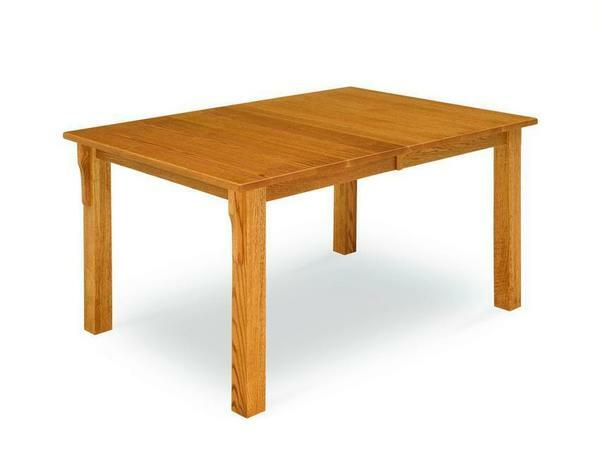 The Amish Leg Mission Dining Table has rich, thick, squared table legs supporting a solid wood top. No frills, all wood and full of custom features you can select! This mission table will not have to be replaced. Instead, it's a dining table that can be enjoyed for generations. What custom features will work best for you? Let's take a look. This mission table is Amish furniture built in Indiana. You can design this table to best fit your needs with the following custom options. The Amish Logan Mission Dining Chairs make a great match for this dining room table. We would love to help you with this dining table. Please email or call a Furniture Specialist for assistance in choosing the perfect custom options for your table. Thanks for shopping with us for your new Amish furniture! Shown in Oak with FC-5591.